If you're looking for more than just replacement speakers, Focal's Performance Series speakers let the music speak for itself, providing transparent reproduction for all your recordings and listening pleasures. The PS 165 6-3/4" component system uses a lightweight, exceptionally rigid Polyglass cone in a sturdy frame to create accurate, richly-textured sound, whether played loud or soft. Focal brought some of their high-fidelity technology out of the studio and into your car with the Performance inverted dome tweeters. This technology results in wider dispersion and a higher frequency response, so you'll notice greater detail in the instruments and voices. Each tweeter features a built-in phase plug and wave guide, which act together to increase the power of high-frequency notes and improve the stereo soundstage. Superior fidelity used to involve a bulky crossover network that was hard to install. Focal designed this Performance crossover network as two separate pieces, joined together when you take it out of the box. 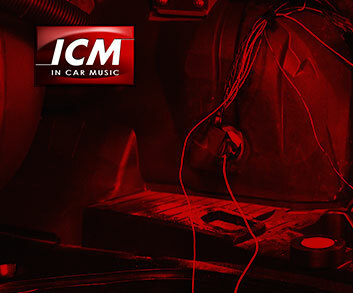 If space is an issue in your vehicle, you take them apart, then mount the high-pass crossover near the tweeter and the low-pass near the woofer, instead of having to mount one big crossover. You can also adjust the tweeter level and crossover point. Focal applies molten glass microballs onto cellulose pulp to create their Polyglass cones, combining the crisp response of the rigid glass layer with the warm sound of a paper cone. The aluminum tweeter has been similarly treated with a softer, more easily damped material that makes the treble distinct without sounding harsh. You can expect superior performance from these component speakers, whether you power them with a quality outboard amp or your car stereo.